I am getting ready to beg, which is something I don’t do often. You are a DNA match to me, either in FamilyTreeDNA (FTDNA), 23andMe, or AncestryDNA. Those are the three DNA tests I have taken. Guess what? There is a wonderful FREE online DNA tool called GEDmatch. You can access the site at www.GEDmatch.com. Did I mention that it is FREE! Although I have stressed its importance in other blog posts, this letter is to re-stress the importance of uploading your raw data file from any of the three aforementioned DNA companies to GEDmatch. Yes, this is indeed very very important. Therefore, please upload to GEDmatch. Pretty please! First, I would like to briefly list a few reasons why uploading to GEDmatch is important. Secondly, I will provide some instructions on how to do so. 1. To gain more DNA matches with others who have tested with a different company but uploaded to GEDmatch. You might even gain some high DNA matches. This is especially important for adoptees. A long lost sibling, parent, aunt or uncle may be in GEDmatch. 2. To be able to compare your DNA to known family members in order to determine how you are related. This effective process is called triangulation. This can be performed in 23andMe and FTDNA but not in AncestryDNA. This is a good blog post that explains this process: http://blog.kittycooper.com/2015/02/triangulation-proving-a-common-ancestor/ Here’s a scenario: Let’s say that you match me in AncestryDNA. Once you upload to GEDmatch, I compare you to both of my parents and determine that you match my father. Not only that, I compare you to other known relatives and determine that you also match my father’s paternal second cousin in the same area on one of our 23 chromosomes. Then, I know that you are related to me via my paternal grandfather. We can then take a closer look at his family tree to try to determine exactly how we are related. 4. You have a plethora of analysis tools in GEDmatch to learn more about your ancestry composition. You wanna see if you truly have some Native American ancestry? You can do so in GEDmatch. 5. You can even determine if your parents are related to each other. Yes, for real. Many people did not know that they married their cousin. 6. You can do X-chromosome comparisons in GEDmatch. You can’t do that in AncestryDNA. X-chromosome matches are revealing because X-DNA is passed down via certain lineages. This helps to determine the family connection. For further explanation, read this blog post. 1. In 23andMe, in the top right corner, click on your name and click on "Browse Raw Data." 2. Once that page opens, look underneath your name in the top right corner and click on "Download". 3. Re-enter your password and enter the answer to the secret question. Then, choose your profile. For “Data Set,” select ALL DNA. 4. Remember the spot where the raw data file is saved on your hard drive. 5. Go to www.GEDmatch.com. Register a new account. It will send a verification code to your e-mail address. 6. Once in GEDmatch, under "Autosomal Raw Data," click on "23andMe." 7. Complete the fields. You will see an icon at the bottom where you are asked to upload your 23andMe raw data file. 8. Then, watch it do its work. Do not close your browser while it is processing. 9. Once it is done, you can do certain things in GEDmatch, like One-to-One Comparison, but not everything until batch processing is 100% complete. That may take several days. See…it’s that simple! Please please please allocate some time to upload to GEDmatch. Yes, I am begging. Another world of DNA matches and exciting information awaits you! Why not take advantage of it? Thank you! Great article Melvin. As a newbie to DNA I would have liked to see a link to an additional piece to this article. I would have liked to see a side by side comparison of the different types of DNA, what the differences mean so those such as myself who are still thinking about DNA testing could understand which of the DNA tests are suitable for someone like myself who can only afford to do it once. In addition, a link to the different sites performing DNA testing would be nice. I did see you on 'Who do You Think You Are' as it is on my to do list when it comes on. It is a great show and I love to see who they discover. Thanks again for the article. Also, use your ancestry dna kit number for your alias, it makes it easier to link to the gedmatch data. I have spent 2 hours trying to get my raw data file uploaded. it is from Living DNA and 2472 bytes. Finally i stumbled across the necessary information on minimal file size that was not given in the error message telling me to check i had the correct file and try again. it ought also to have been revealed that it was the autosomal dna file that is to be uploaded to Gedcom Genesis. now i shall hunt for the DNA for dummies link i stumbled across. my haplogroup subclade is T-Y11151 and motherline haplogroup subclade Hig1. also you need to know that if you open a spreadsheet created in office 2013 micros-t will generously change all your office files to office 2013 so that you can return the generosity to micros-t by purchasing office 2013 .unless of course you prefer a version that micros-t so generously has removed for you all the functions from (such as continuing to use or copying, well yes indeed all functions). due to exhaustion coupled with senile wrath i missed the Notify me square. Thanks for visiting and commenting on Roots Revealed! Click image to see the book trailer and to learn more about this fascinating and monumental story. 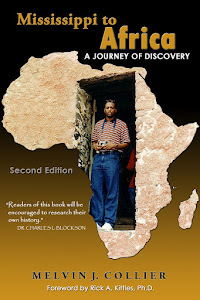 The second edition is now available at MississippitoAfrica.com. Click image. 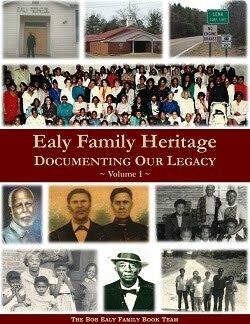 Need a great example on how to write and organize your family history research? Order this book! You're an Ealy and you want to learn about the family history? Order this book! Click image for details. 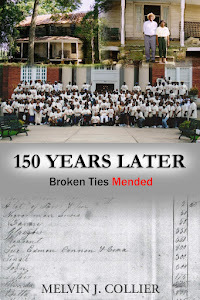 "Confirming Enslaved Ancestors Utilizing DNA"
"Mending Broken Ties: Reconstructing Family Trees Sawed by Slavery"
Melvin was awarded the 2016 Paul Edward Sluby, Sr. /Jean Sampson-Scott Meritorious Achievement Award in October 2016. 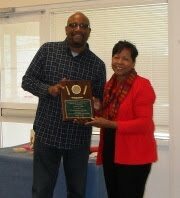 This is the second highest award that is bestowed by the Afro-American Historical and Genealogy Society (AAHGS) upon either an organization(s) or person(s) who has exhibited distinguished performance through a significant and measurable contribution to African American history and/or genealogy within the past two years.